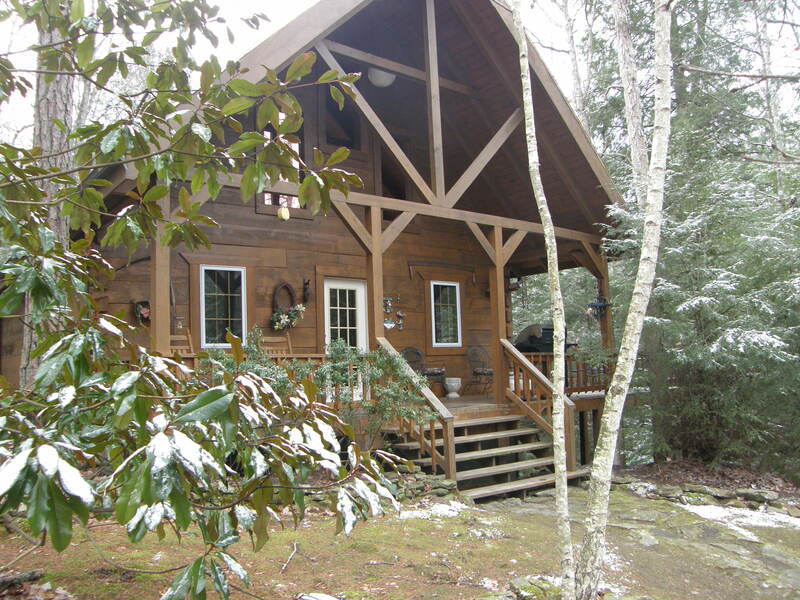 ”“The location of Hilltop is part of what is most attractive in this cabin. 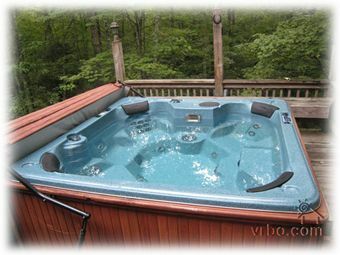 We also love the hot tub out on the open deck under the stars and the screened in porch eating area is like an old west saloon. ”“Wildcat’s has been our favorite cabin for many years. 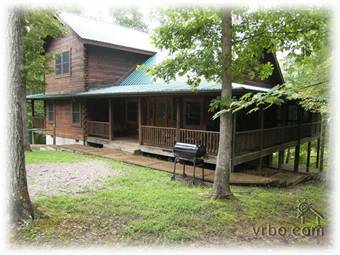 It is a family tradition to send time at “our” cabin in such a beautiful place. The gift basket is the most thoughtful touch for us … much appreciated! 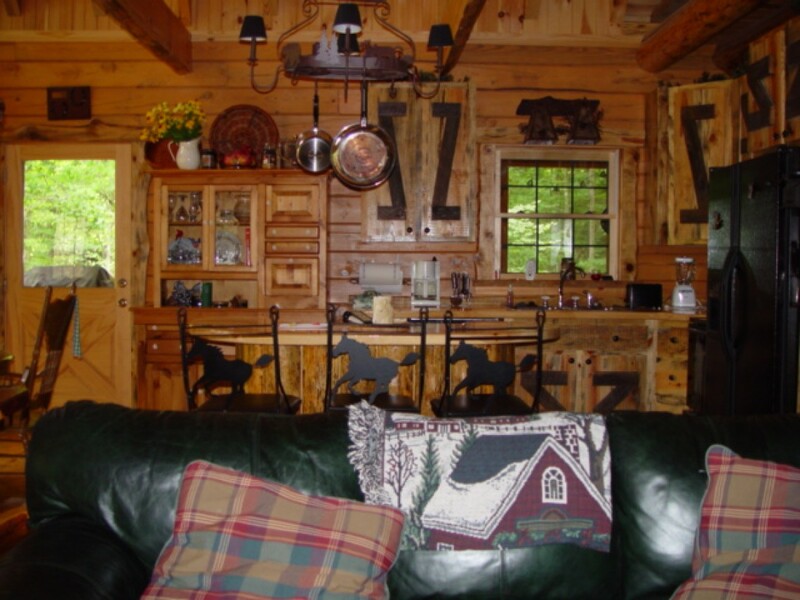 ”“This cabin is so romantic, it is perfect for our relationship of two! It is always really clean and inviting when we arrive. But the best part is the luxurious stalls and horse area… our horses get spoiled w hen we come here. 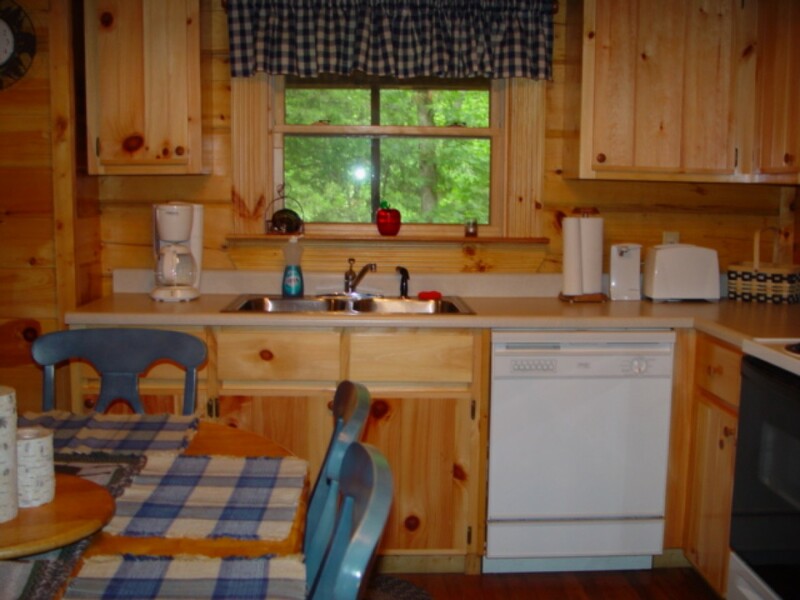 ”“Sweet Gum Falls is such a quaint cabin built for our small family. We love coming to Tennessee and this cabin and our kids love the treats in the gift basket we get fr om Kathy, thanks! ”“Crikett Lane has the most beautiful decorations adorning the inside. 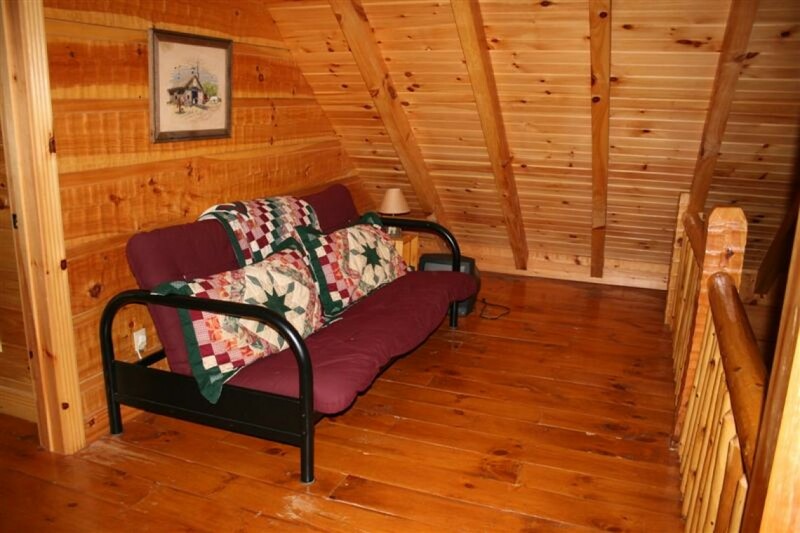 The catwalk loft is so unique and with the reading nook, it makes for a quiet personal space to read or just think. Love the large wrap-around dec k …so inviting. ”“This cabin has been our favorite out of all of our stays here in the resort. 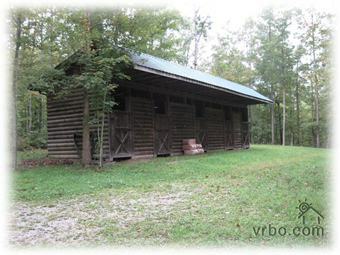 We love the seclusion of the cabins location and the walkout basement is great for our kids for running in and out. A big thanks to Kathy! 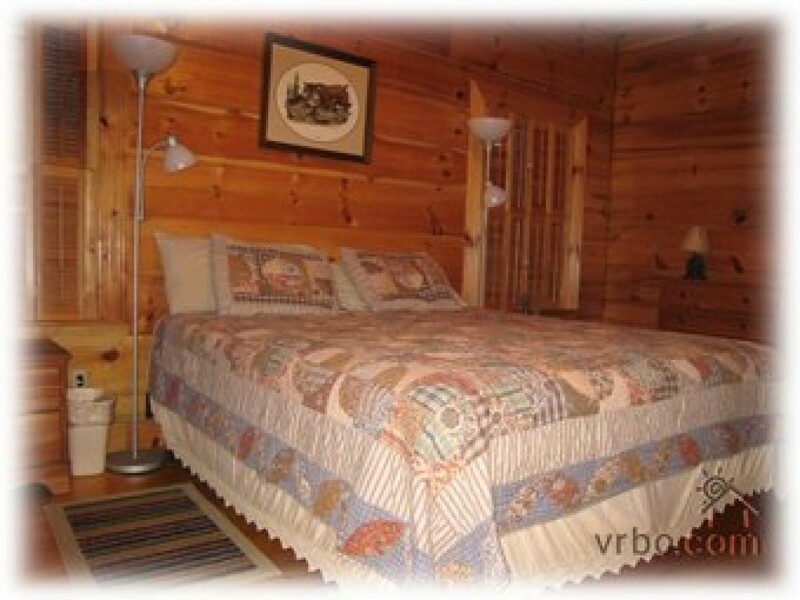 Big South Fork Log Cabin Rentals, affordable lodging facilities found in the mountains of Eastern Tennessee by the border of Kentucky. 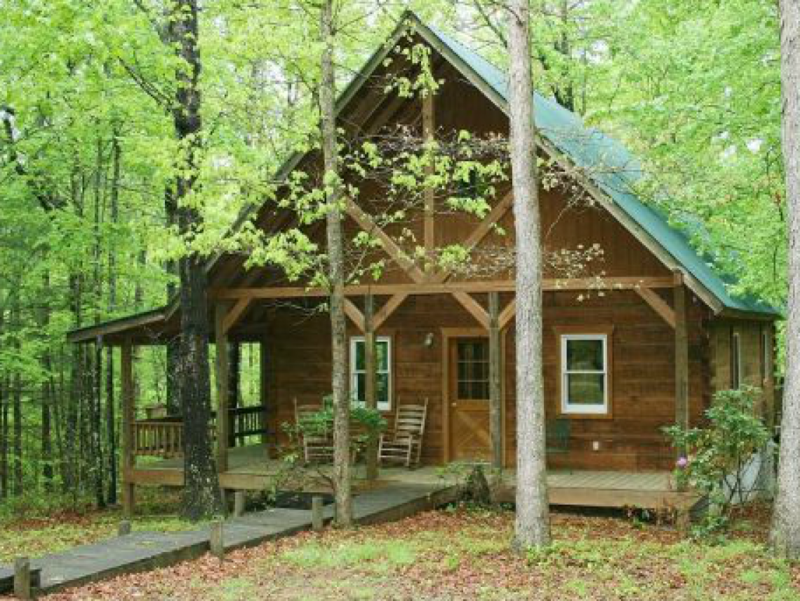 Our log cabins rentals border Big South Fork National River and Recreation Area the Daniel Boone National Forest, all in the Cumberland Plateau area of Eastern Tennessee. ”“ Having the ability to cook your own meals and relax in the great outdoors, does wonders for those looking for a great place to rent. 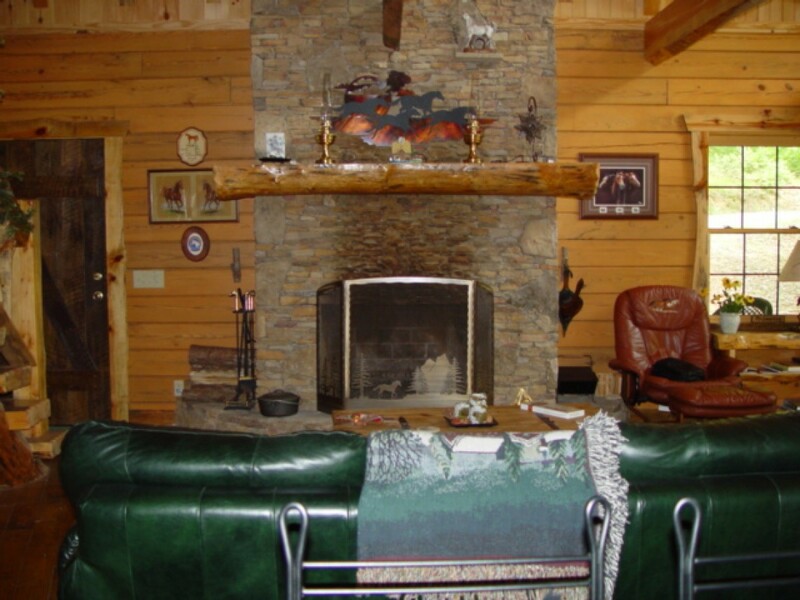 The pristine log cabin rental property of Big South Fork Log Cabin Rentals in Tennessee lies in Scott County close to fishing, swimming, horse trails, great recreational water activities, hiking trails, canoeing, off-road racing, great area activities and so much more! 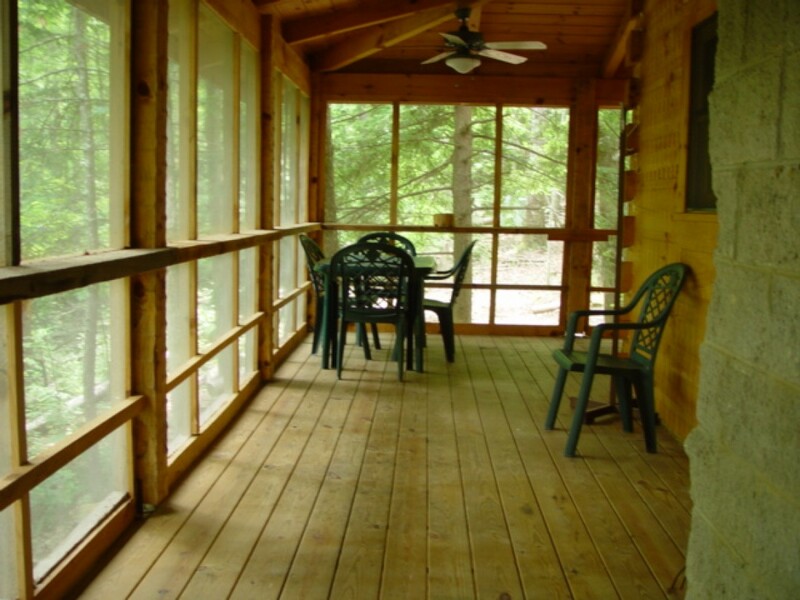 Some of our Big South Fork vacation cabin rentals are located on a secluded pond, near a stream and all are surrounded by lush vegetation with breathtaking views. For the horseback rider, the log cabin rentals are next to the great Big South Fork riding trails, saddle up and ride out the back door, literally! 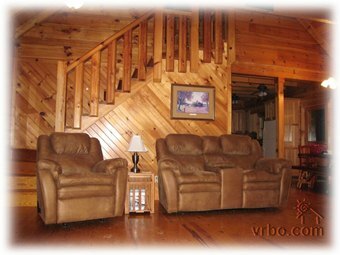 The log cabin rentals themselves, constructed with modern technologies are luxurious, well-maintained and definitely affordable. Whether you are interested in a short stay or an extended visit, we can certainly meet your needs. 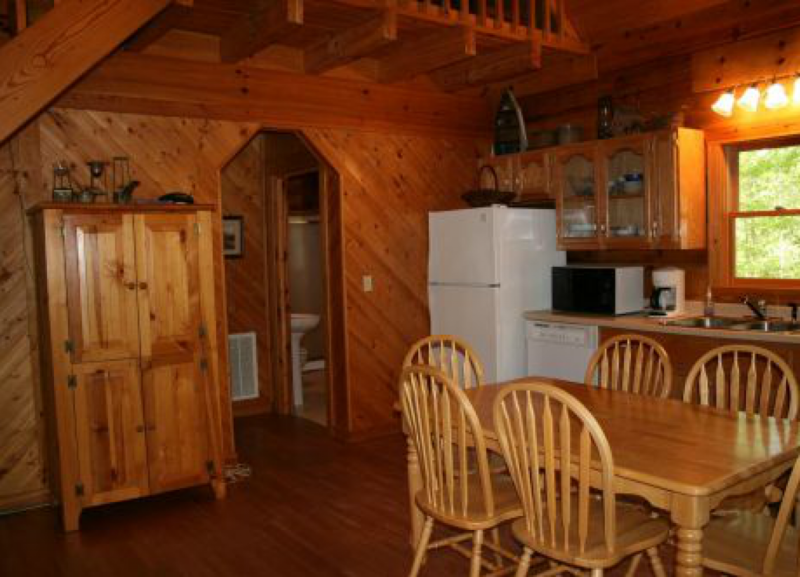 Each Big South Fork Rentals log cabin is unique in design and functionality, your family or group can be large or small, we accommodate all! 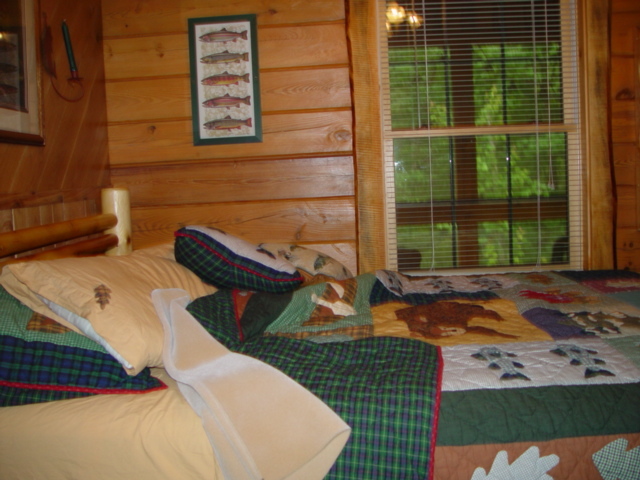 Big South Fork Log Cabin Rentals will provide an unforgettable vacation, get-away or a bonding experience that you will not soon forget, making us a yearly event! Our area offers many fun and exciting activities and events! Make sure to check out Brimstone, offering wild events in the ATV world! Our Oneida log cabins rentals are open year-round, all four seasons are breathtaking and memorable! 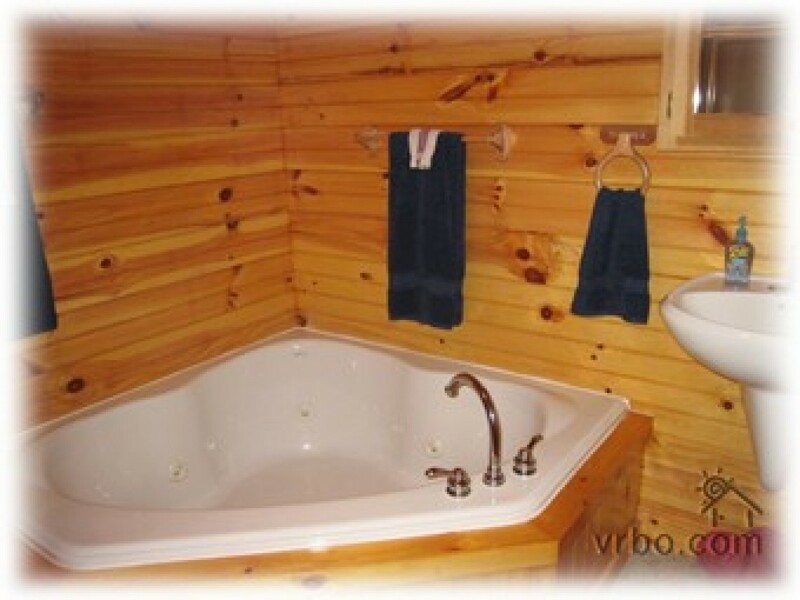 Our cheap log cabin rentals are easy to find, our service is first-class. We are owned and operated with care. We understand your budget and work with you to create the best possible experience. 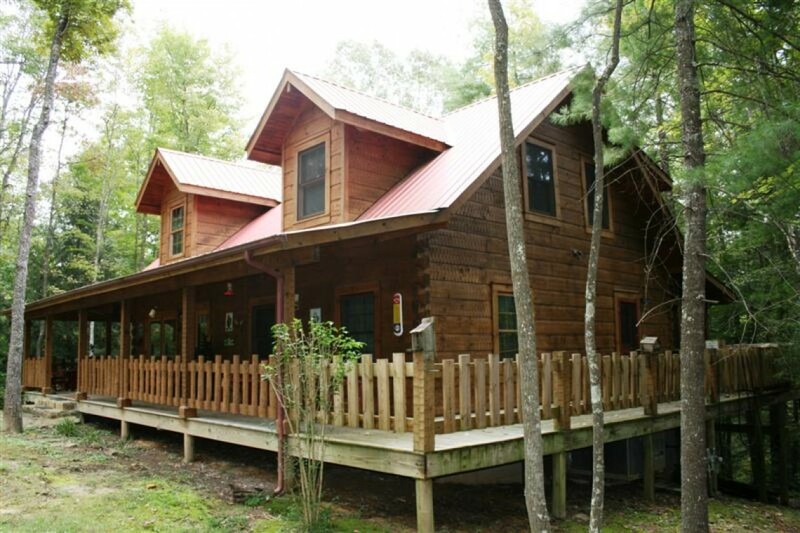 We want you to return to our Big South Fork Rentals log cabins! 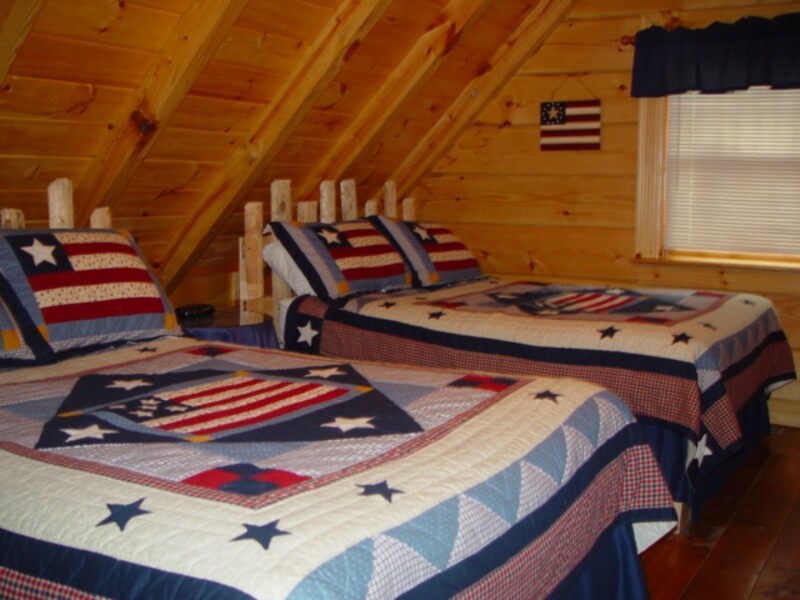 •We offer cabin vacation rentals specials throughout the year, and always for our men and women in the military. See Merchant Circle for full details on rentals. Sweet Gum Falls Log Cabin in Wilderness Resort is a log cabin and a cottage. The architecture of this rental cabin is unique and inviting. 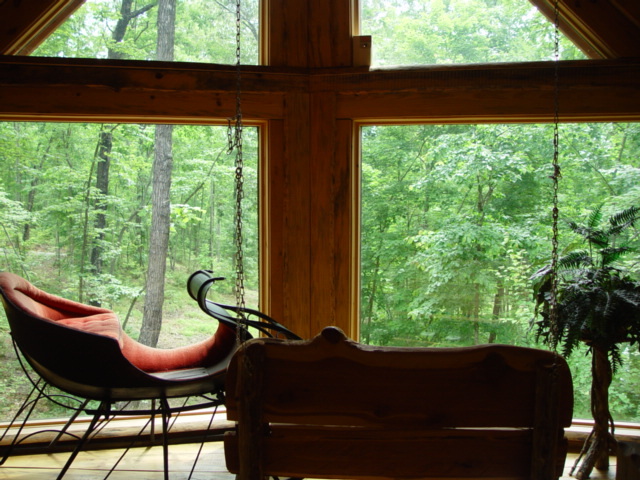 The A-frame roof with spectacular windows is compliment to the surrounding property. 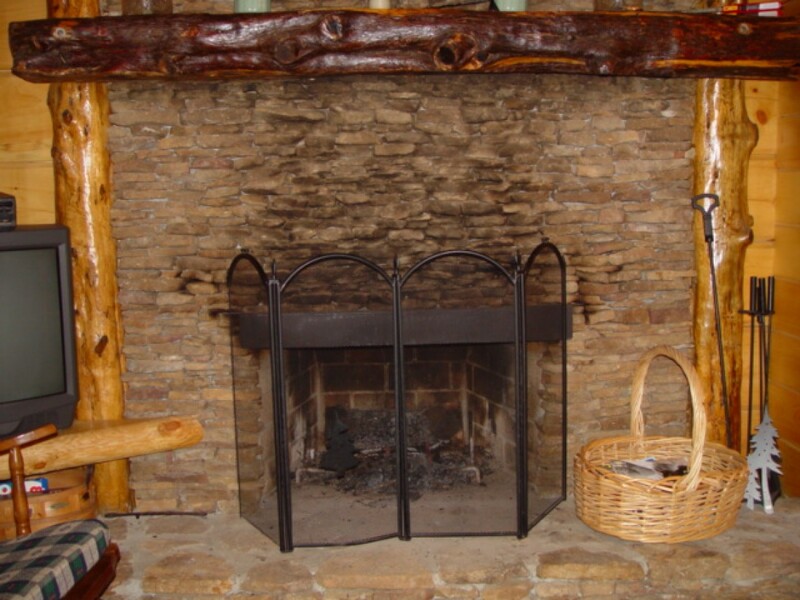 The cozy fireplace is a focal point for the great den…one of the best features of this getaway. 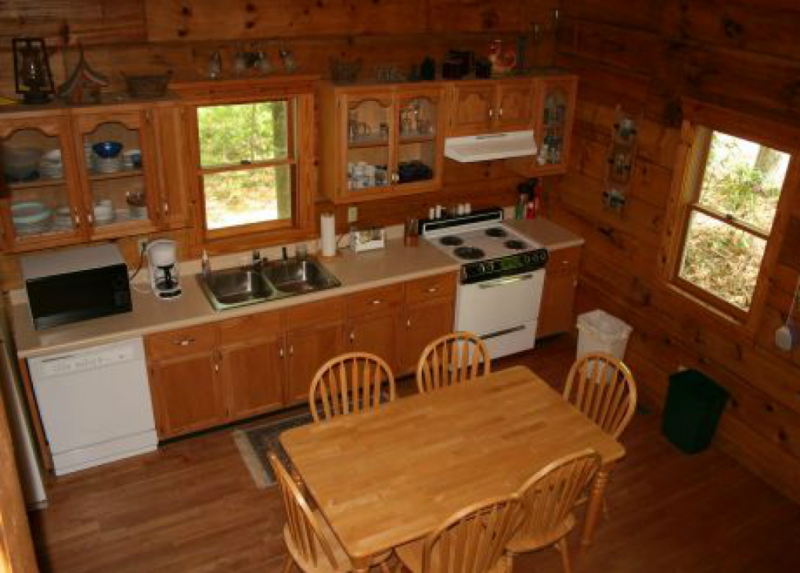 The full kitchen comes with everything needed to prepare a full meal or choose the back porch with great gas grill. 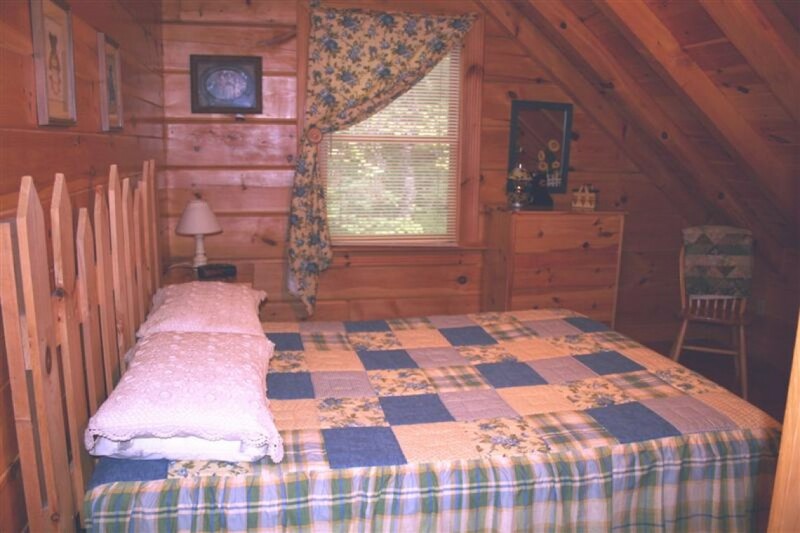 The spacious upper bedroom loft overlooks the main great den. The main floor hosts the master bedroom and bathroom. Having an 6-person hot tub to relax in will make your vacation a truly relaxing one. Sweet Gum Falls provides a tack room, stalls and a turnout paddock for your treasured horses. Crikett Lane Log Cabin in Big South Fork Rentals resort is constructed with a unique tin roof and very large light-inviting windows to capture the beauty of the property. The many unique construction highlights include an internal log catwalk leading to the stairs, a raised master bath Jacuzzi, stained glass window, forest green bathroom items, and large open areas. 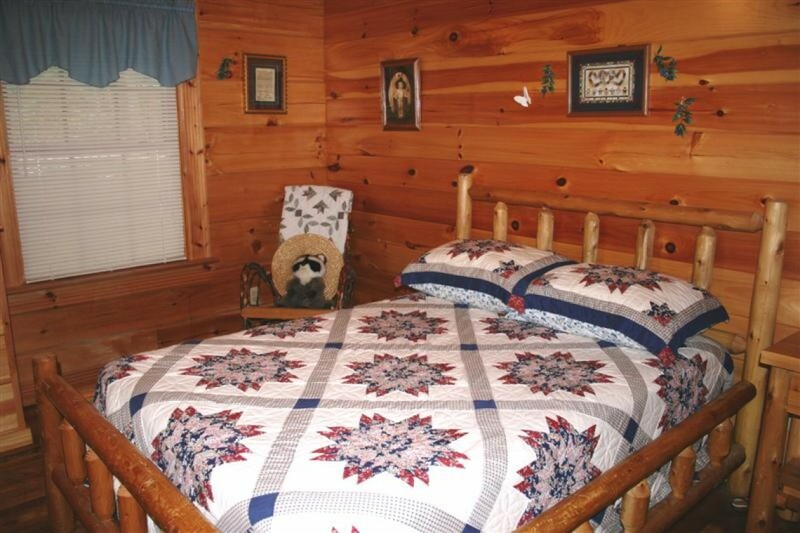 Crikett Lane log cabin is perfect for the family wishing to have great bonding time through many diverse activities and private, romantic time for mom and dad. 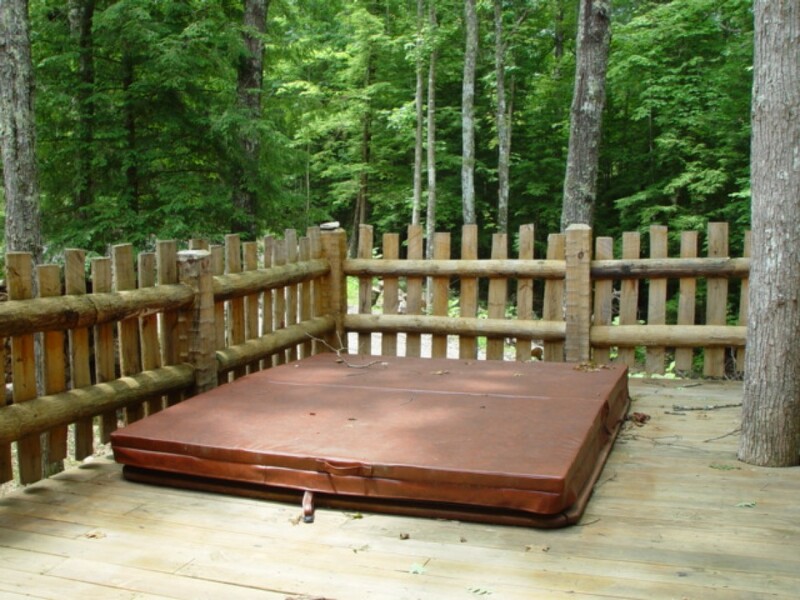 The private pond with a superb private dock lends to the diversity of activities, including those with your horse. This cabin provides for handicapped accessibilities. 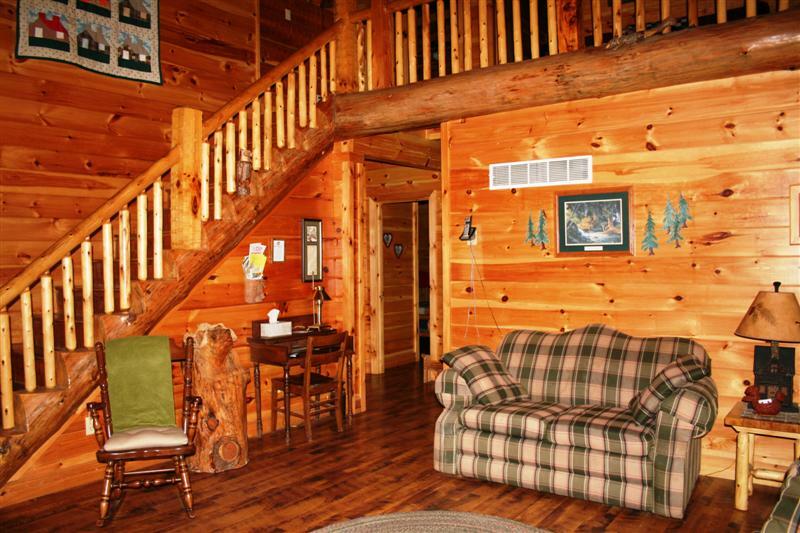 Wildcats Den Log Cabin in Wilderness Resort is an architectural beauty. The tin roof lends to the romance of the secluded area. 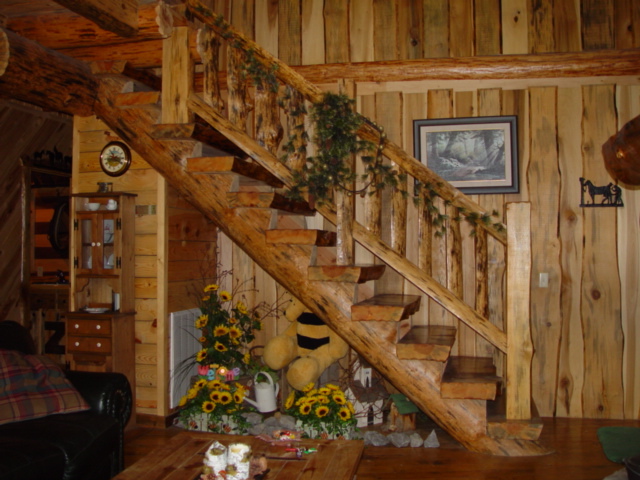 This log cabin home was constructed with outside activities complimenting the interior décor. Full kitchen comes with all amenities needed to prepare a full gourmet meal or choose the wrap around porch with charcoal grill. 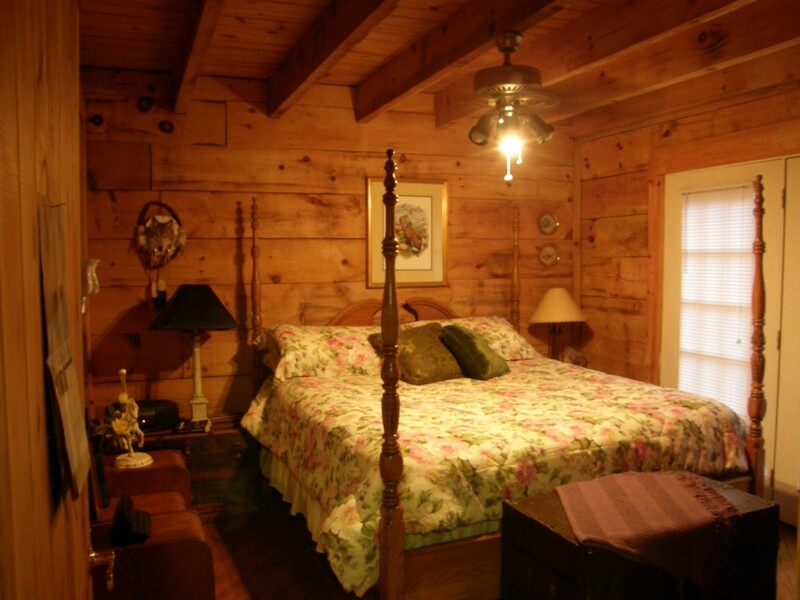 Rustic and spacious upper bedrooms have 2 Queen beds each with the master bedroom furnished with a large California King. 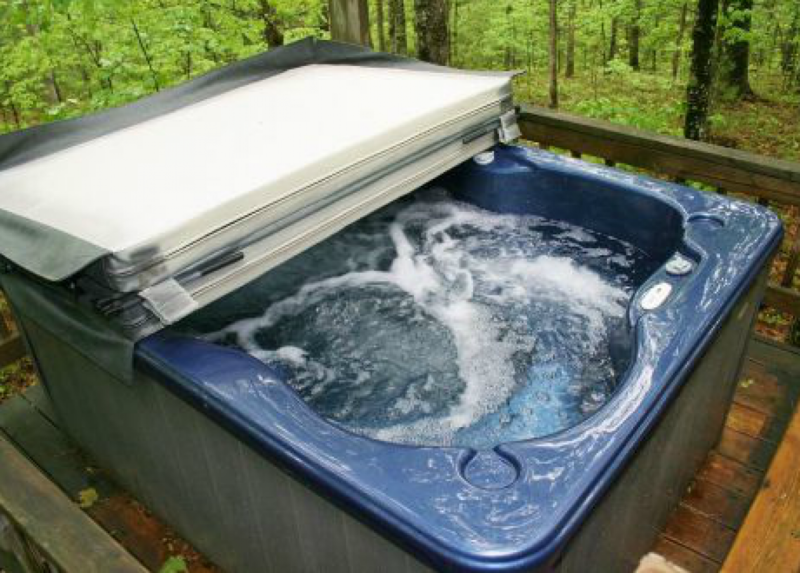 Private pond and deck is good for swimming and fishing or relax in the 8-person hot tub overlooking the pond. 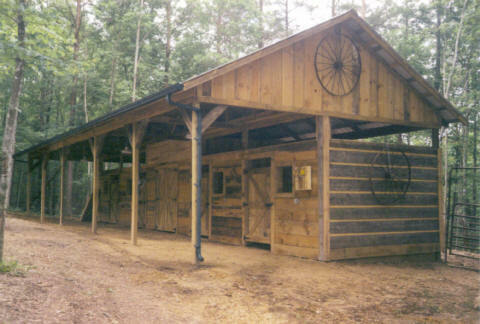 The 4-stall barn, tack room and two (2) turnout corrals is luxury provided for your horses. 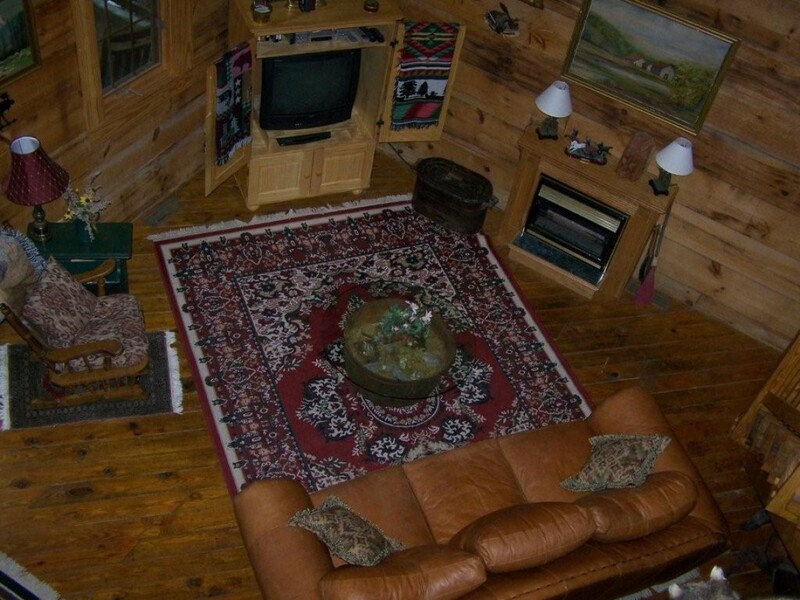 Hilltop Haven Log Cabin in Wilderness Resort is a secluded 3-story log cabin for the family very active in game playing. 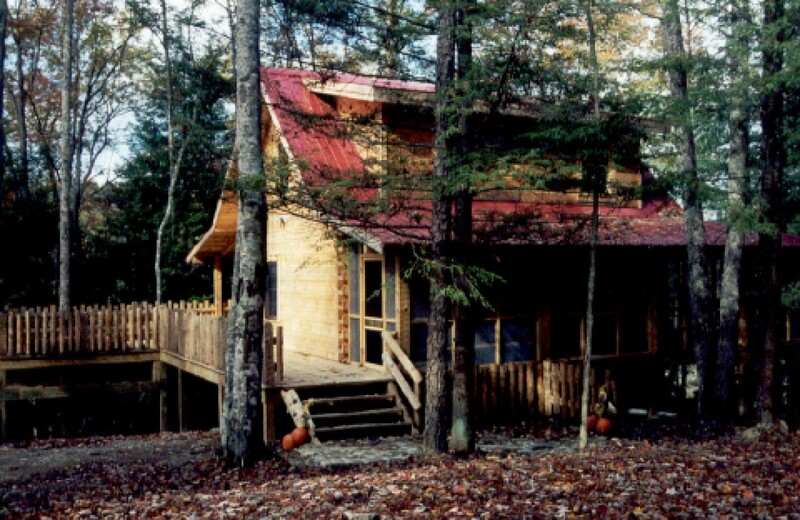 This magnificent multi-level log home was constructed with a traditional red tin roof and three levels of fun and relaxation. Stone mosaic fireplace burns real wood and is a focal point for the main level den. Full kitchen comes with all the amenities needed to prepare a full gourmet meal or choose wrap around porch with great gas grill. 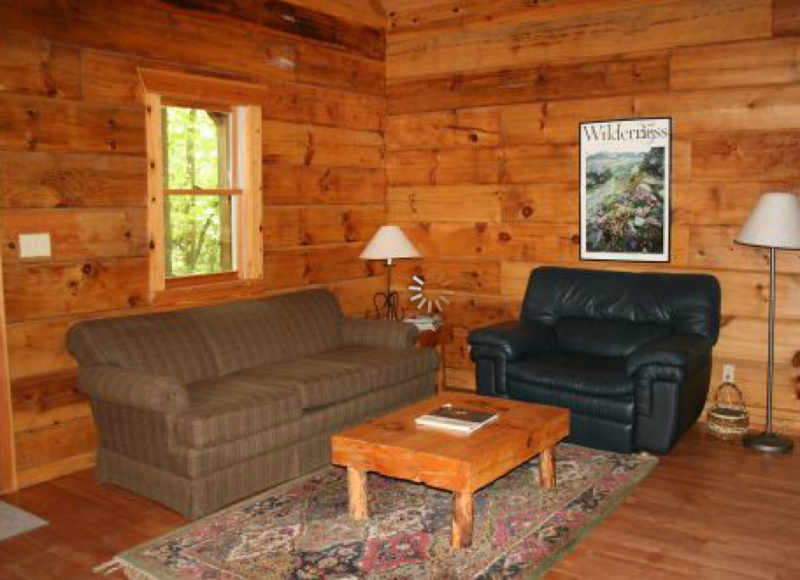 Rustic upper two bedrooms overlook the outside beauty of the property. Main floor hosts a private master bedroom and bathroom. Lower Level provides gaming tables of all kinds. No horses at this cabin. Mountain Laurel Log Cabin in Big South Fork Rentals resort sits on a secluded ridge with a unique green tin roof and dark stained logs. 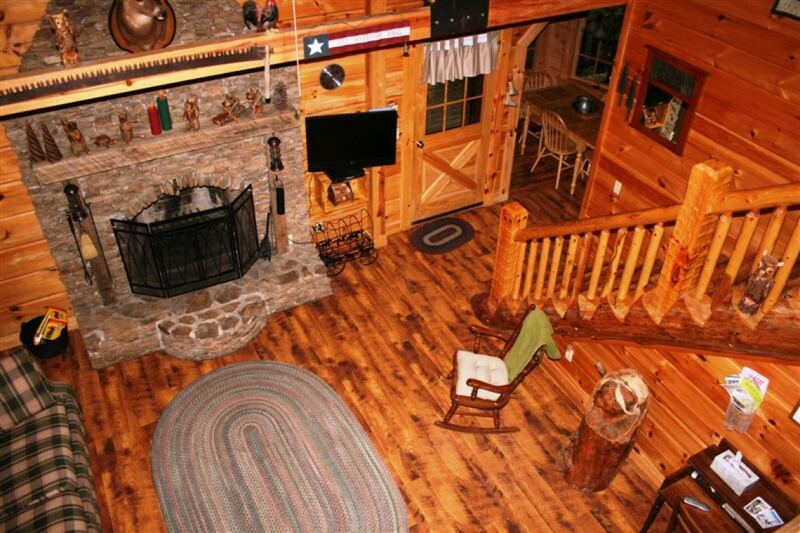 The log cabin is handicapped accessible and easy to navigate. Standing on the lower level wrap-around deck is a wooden walkway that adds to the cabin. 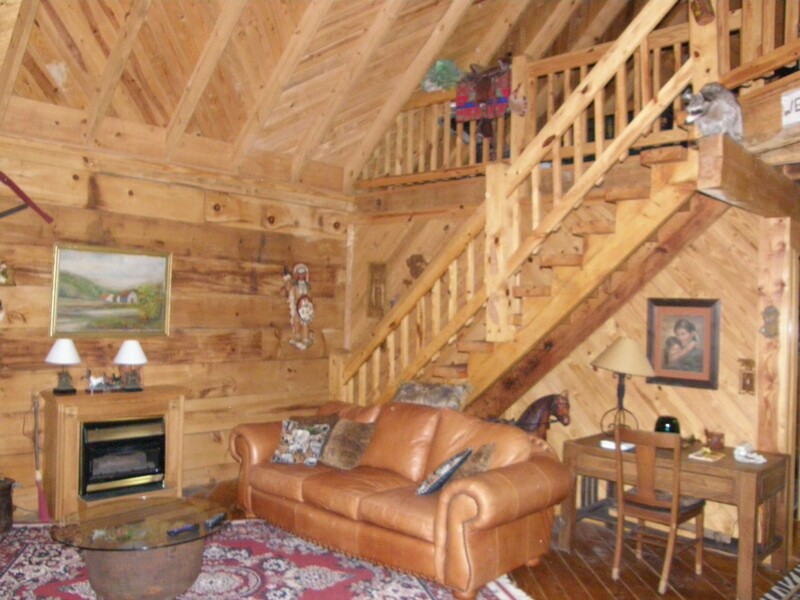 This log cabin rental is open in the central room with a great loft overlooking the main living area. 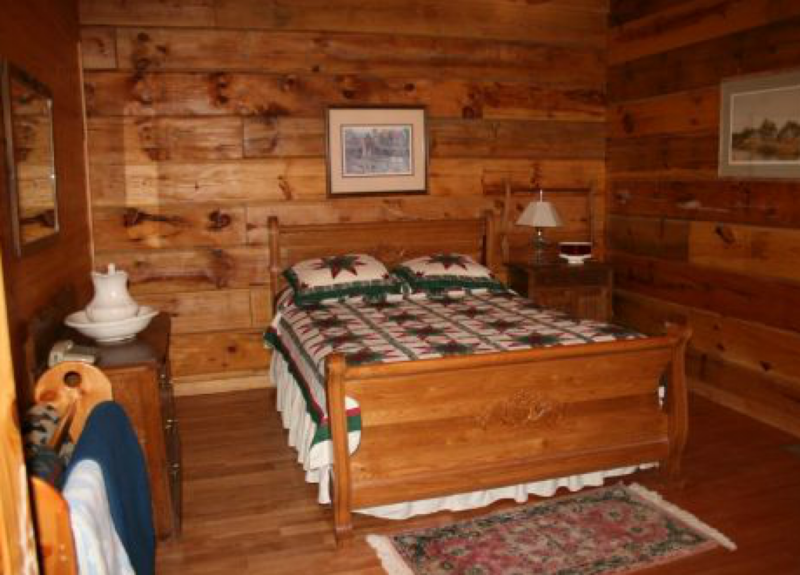 Complete with hardwood floors, the log cabin is luxurious and quaint. 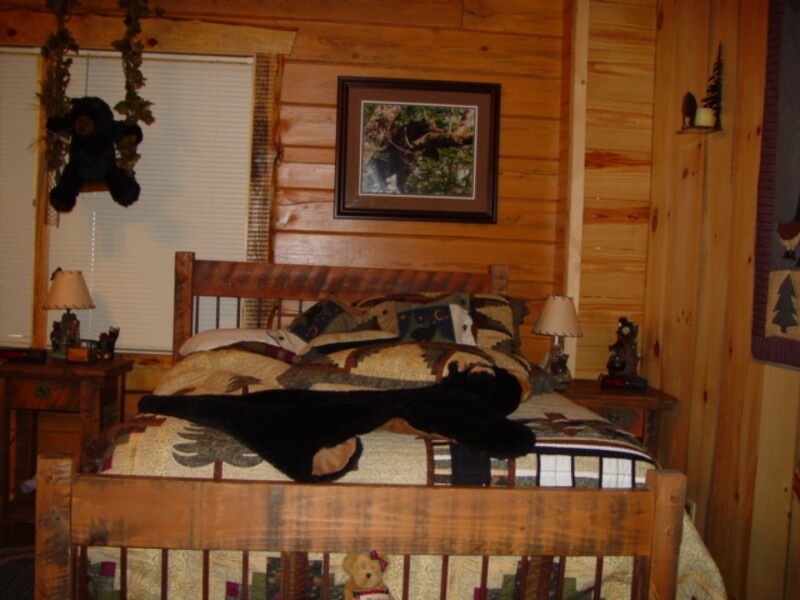 The loft brings queen sized sleeping and a offers an outside breath taking view.